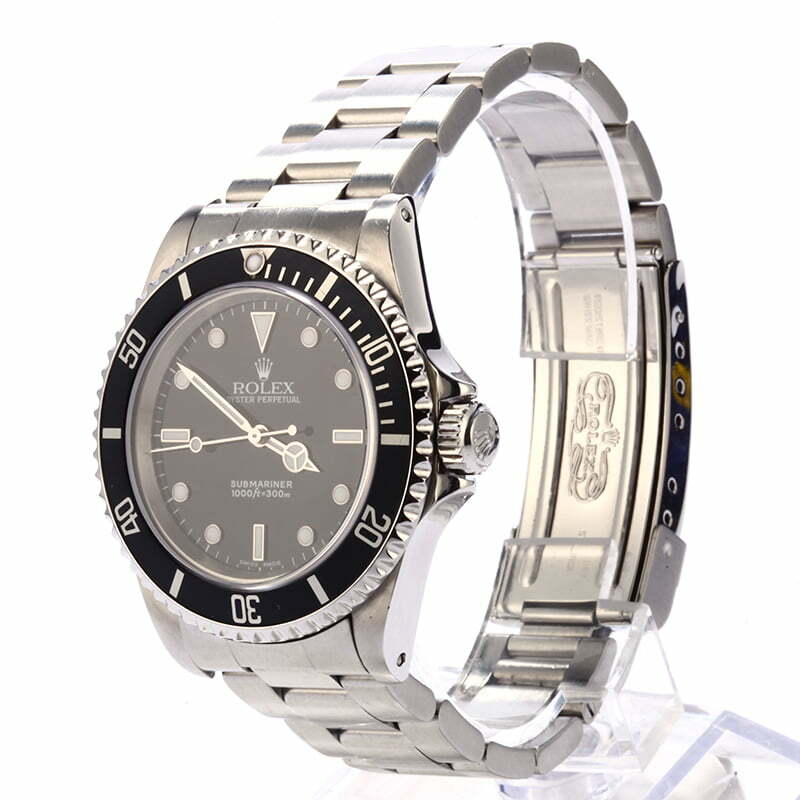 This pre-owned Rolex watch is in very good pre-owned condition with a few observable scratches on the bezel/bracelet. 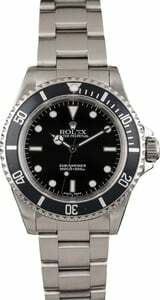 An intriguing variation of the men's Rolex Submariner is the "No Date" ref. 14060 that is presented here today. 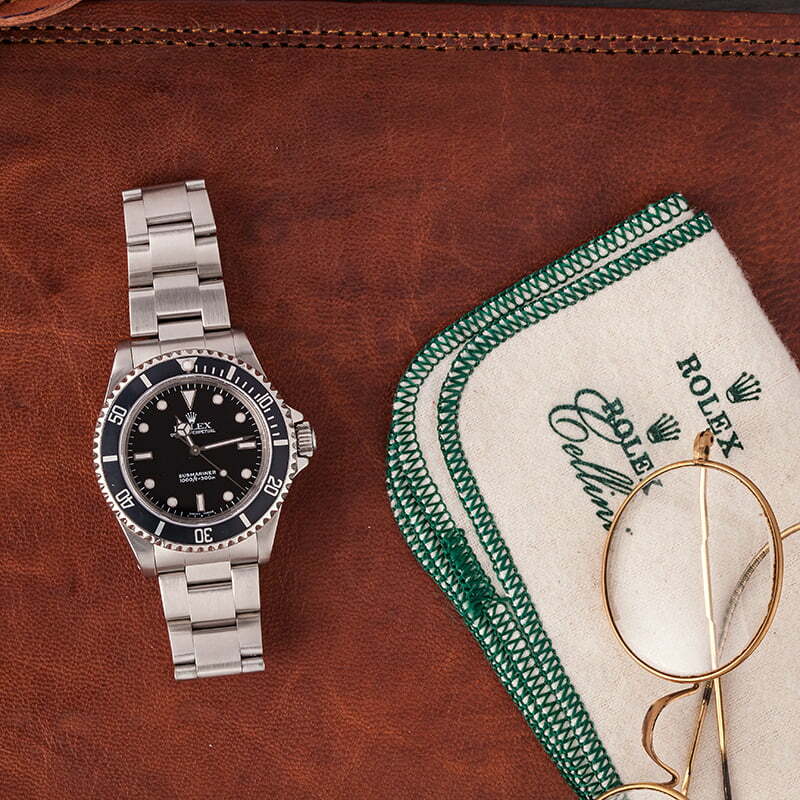 Similar to the original model that debuted at Basel Watch Fair 1954, the ref. 14060 presents the time on a time-only dial. 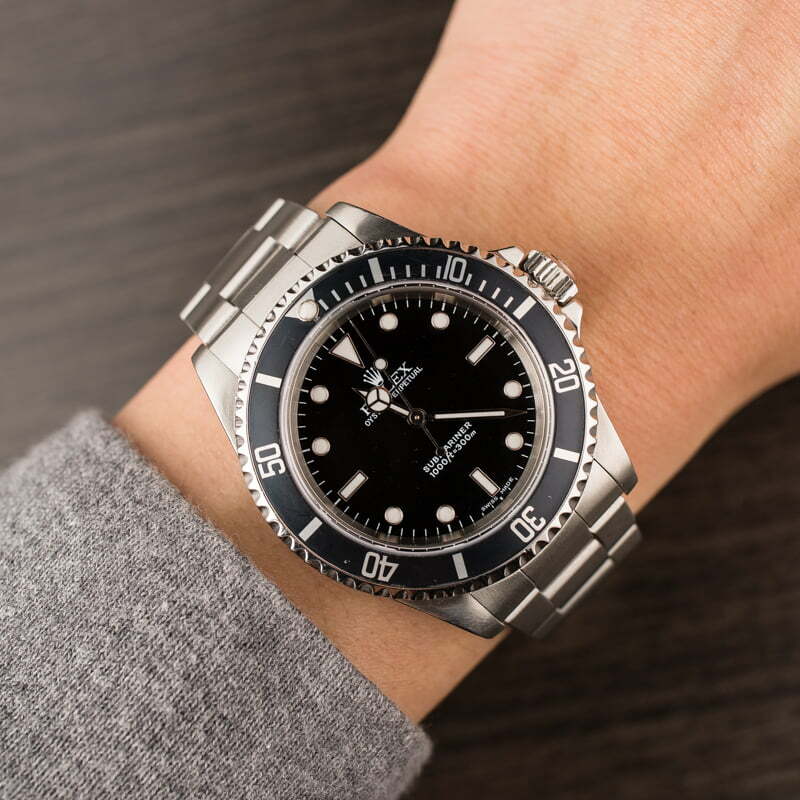 After the addition of the date display in the 1960s, the Submariner was largely found with a date on the dial. 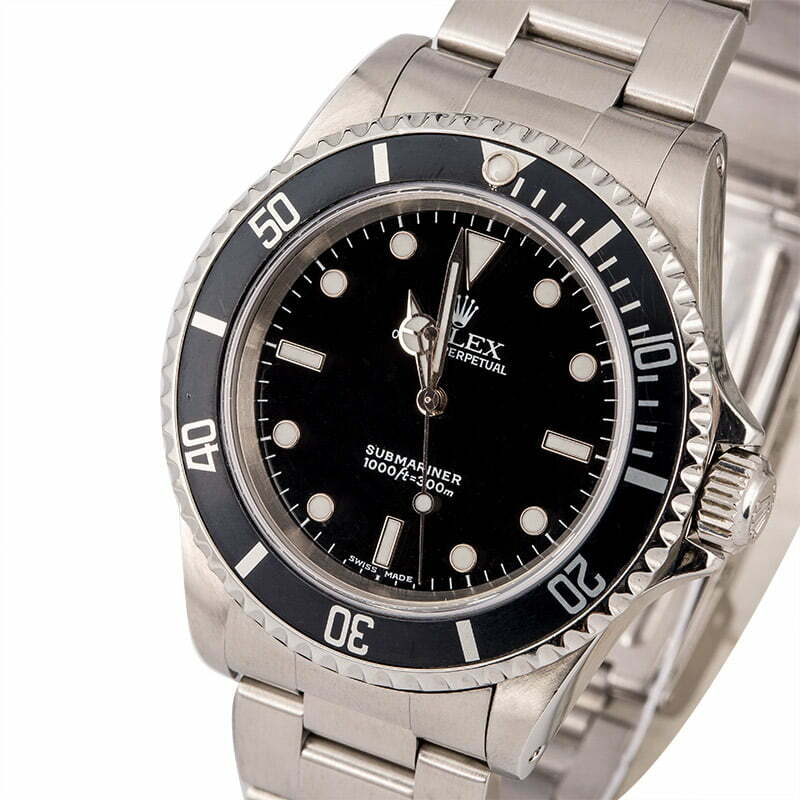 Collectors who prefer the aesthetic of a dateless dial often seek the ref. 14060. This particular used Rolex also features what collectors in-the-know refer to as a "two-liner" dial, which displays the Submariner logo and depth rating above the 6-hour marker. 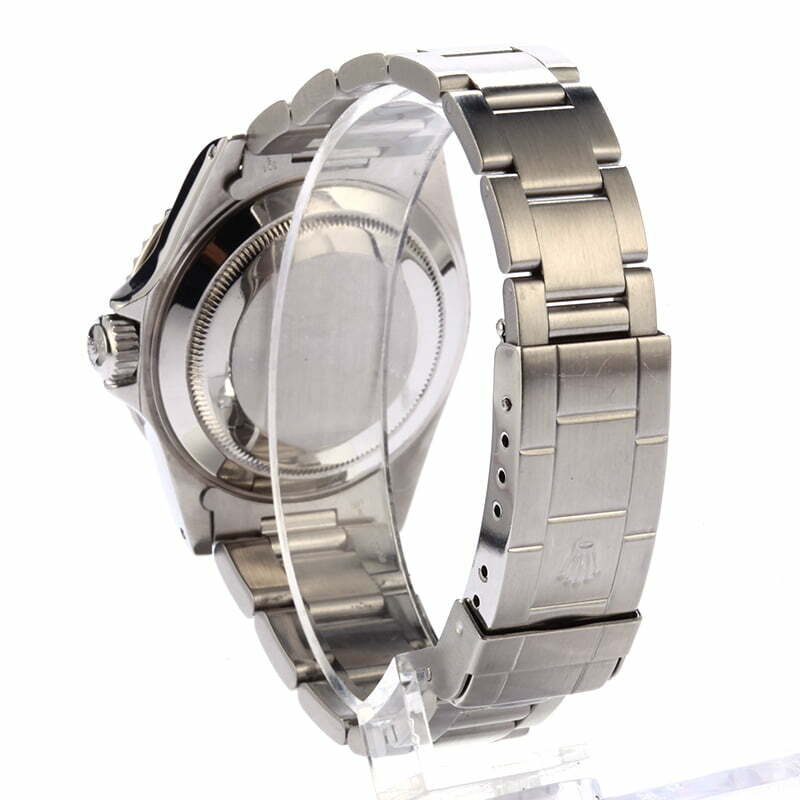 It also utilizes a unidirectional timing bezel, an Oyster case with a depth rating of up to 300 meters, and a resilient stainless steel finish, creating a dive watch that will continue to read true for many more years to come.